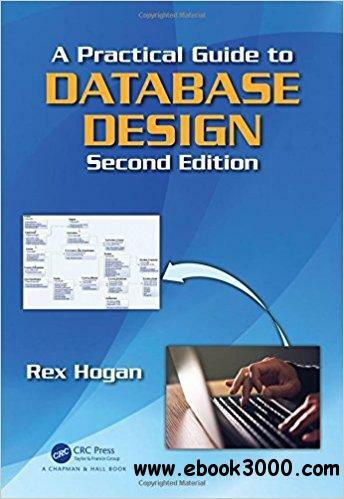 Fully updated and expanded from the previous edition, A Practical Guide to Database Design, Second Edition, is intended for those involved in the design or development of a database system or application. It begins by focusing on how to create a logical data model where data is stored "where it belongs." Next, data usage is reviewed to transform the logical model into a physical data model that will satisfy user performance requirements. Finally, it describes how to use various software tools to create user interfaces to review and update data in a database. Organized into 11 chapters, the book begins with an overview of the functionality of database management systems and how they guarantee the accuracy and availability of data. It then describes how to define and normalize data requirements to create a logical data model, then map them into an initial solution for a physical database. The book next presents how to use an industry-leading data modeling tool to define and manage logical and physical data models. After that, it describes how to implement a physical database using either Microsoft Access or SQL Server and how to use Microsoft Access to create windows interfaces to query or update data in tables. The last part of the book reviews software tools and explores the design and implementation of a database using as an example a much more complex data environment for a University. The book ends with a description of how to use PHP to build a web-based interface to review and update data in a database.